Netanyahu says Israel will prevent Iran from using Syria as military base - even if it requires major escalation. Israeli Premier Binyamin Netanyahu said his country was prepared to escalate its attacks on Iranian military forces deployed in Syria, if necessary, to prevent Iran from entrenching itself in the war-torn country. 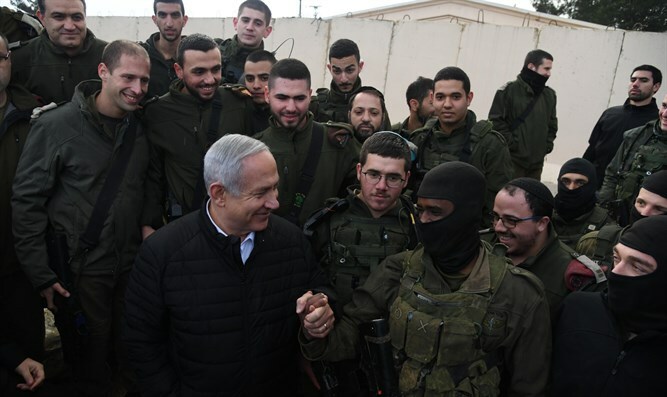 Netanyahu met with IDF soldiers stationed in northern Israel Sunday afternoon, as part of Operation Northern Shield, which was launched last month to locate and destroy cross-border terror tunnels built by Hezbollah from southern Lebanon into Israeli territory. IDF Deputy Chief of Staff Eyal Zamir joined the Prime Minister during the tour, as did IDF northern command chief Gen. Yoel Strick and other army top brass. During the tour Sunday, Netanyahu said the IDF was prepared to intensify its ongoing campaign against Iran’s Quds Force in Syria. Israeli forces reportedly struck several weapons depot on the outskirts of Damascus and in the al-Kissawa area late Friday night. 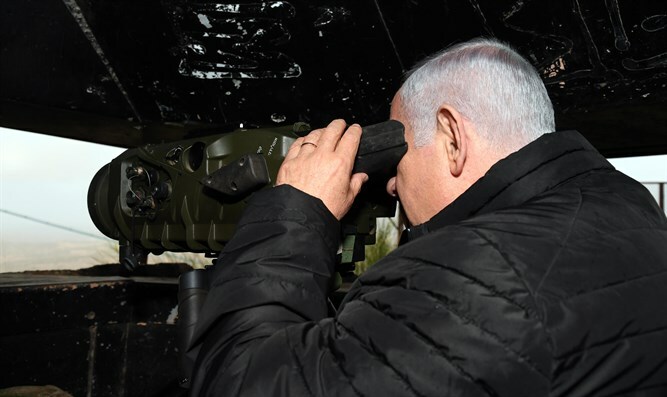 Netanyahu added that while the Israeli army was completing Operation Northern Shield, the recent discovery of a sixth cross-border terror tunnel highlighted the need for continued vigilance along the northern border. "I think that everyone understands that a very serious threat was averted here. Hezbollah's operational plan was to use the tunnels weapon to infiltrate many fighters, between 1,000-2,000 terrorists, into the Galilee, to seize communities here. Everyone understands how the war would look if Hezbollah battalions were in the Galilee, and with the Iranian army opposite the Golan Heights. We have prevented this – and will continue to prevent it." Earlier on Sunday, the IDF announced the discovery of the sixth cross-border tunnel in northern Israel, which had been dug from the village of Ramyeh.